Hilton Head Island is a world-class golf destination and the PGA TOUR's RBC Heritage Presented by Boeing tournament has played host to some of the greatest names in golf. Golf legends like Nicklaus, Palmer, Tiger, and Greg Norman, as well as today’s top golfers from around the globe, have all been challenged by the fairways of the Harbour Town Golf Links. Mark your calendar for April 15 - 21, 2019 and join the fun! The party lasts through the week as 100,000 spectators line the greens to watch the world’s top golfers compete while enjoying the scenery, culture and ambiance that Hilton Head Island has to offer. 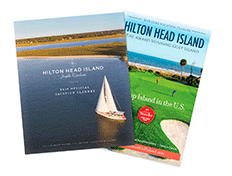 If you’re planning a golf getaway to South Carolina, make it a Hilton Head Island golf vacation. Golfers can find more than 33 world-class golf courses in the Lowcountry area, including on Hilton Head Island, in Bluffton and on Daufuskie Island. With PGA TOUR events, such as the RBC Heritage Presented by Boeing, hosted on the Island at Harbour Town Golf Links in Sea Pines, there are plenty of options if you prefer to be a spectator rather than a player. Tee off on championship courses designed by legendary course architects such as Robert Trent Jones Sr., Pete Dye, and Jack Nicklaus. Experienced and novice golfers alike are guaranteed a great time on the greens of Hilton Head Island golf courses.